Xi'an Branch of China Railway International Multimodal Transport Co., Ltd.
China Railway International Multimodal Transport Co., Ltd., one of the earliest companies engaged in the international freight forwarding business in China, passed the ISO9001 international quality system certification in 2006, and is now a member of the China International Freight Forwarders Association and a standing member of the Committee of the China Association Of Shipping Agencies & Non-Vessel-Operating Common Carriers. The company undertakes through carriage on international trains between China and Europe, and China and Central and Western Asia, and provides container operation and management between China Railway and Kazakhstan and Russia Railway. The company has 8 subsidiaries, 17 branches, 5 port operations departments, and overseas agencies including a Kazakhstan branch and representative offices in Russia. 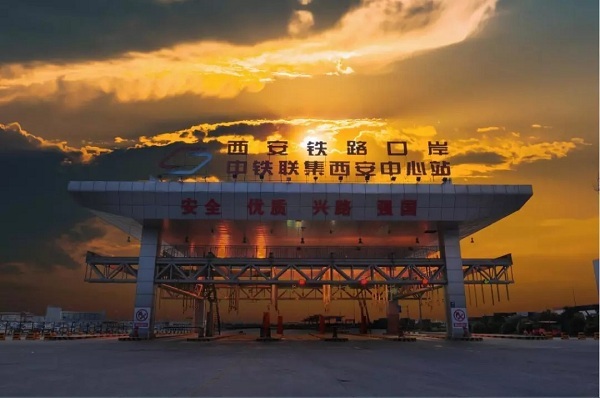 It operates over 800 railway stations and more than 100 logistics parks and stations throughout the country and the major countries and regions along the Silk Road.